Dan has been making music most of his life. While attending East Carolina University's School of Music, he auditioned and was hired at age 19 to join the cast of the Off-Broadway show "STOMP". After performing in the New York company, he joined the national tour, eventually playing the lead role and becoming the Rehearsal Director. During this tour, he had the opportunity to perform on stage with Bobby McFerrin for the Presidential Millenium Celebration and appeared on several tv shows, including "Good Morning America", among many others. Dan has since moved back to NYC to continue his music career and has performed at such venues as Madison Square Garden, Town Hall, The Grand Ole Opry, Radio City Music Hall and The Meadowlands Arena. Dan is currently playing drums for "The Cher Show," a biographical musical which is slated to premier on Broadway in the fall. He also recently acted as the house drummer for seasons 7, 8 & 10 of NBC's "America's Got Talent" and played for the PBS special "From Broadway With Love" featuring Chita Rivera, Kelli O'Hara, Jesse Mueller, Norbert Leo Butz and Lilias White. He held the percussion chair for the Broadway show "Holler If Ya Hear Me," and recently played for Andrea Bocelli on "Good Morning America." 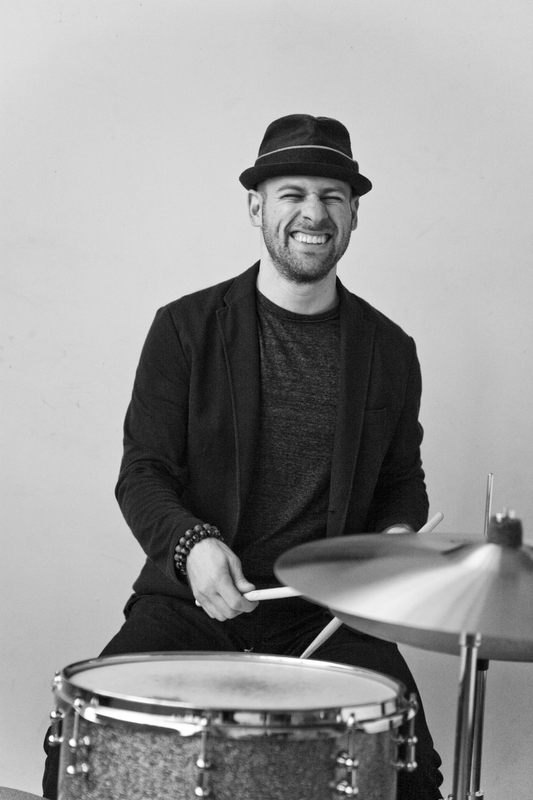 He has also subbed on drums in the orchestra pit for Broadway shows like "Wicked" and "First Date," played hundreds of auditions the casting office of Bernard Telsey Casting and recently played drums for the Obie Award-winning show "The World Is Round" at BAM. He plays often for Grammy Award winning artist Tim Kubart and was grateful to contribute percussion to his winning album "Home." He has played drumset for a number of artists including Tituss Burgess, Melinda Doolittle (American Idol Finalist), Camille O'Sullivan, Heather Christian, Montego Glover, Lucie Arnaz, and Aaron Lazar. In addition, he occasionally performs for corporate events for companies such as GM, Microsoft, Pfizer. etc. Also trained in music production and recording, Dan produces, engineers and mixes music on a for-hire basis. Recently, he produced (and played drums for) "The Sedaka Sessions", where he had the honor of working with Neil Sedaka and an incredible team including engineer Roy Hendrickson (Paul McCartney, Miles Davis, Frank Sinatra, etc) and Grammy Award-winning executive producer Tony McAnany. Some other audio production highlights include a national commercial for "The Grinch That Stole Christmas", a track for Coca-Cola's 125th Anniversary Celebration, mixing of promotional content for the upcoming Broadway show "Natasha Pierre & The Great Comet of 1812," and a track he co-produced with David Tirolo for the short film "Year Zero," which premiered at the Tribeca Film Festival. He also had the opportunity to contribute as an engineer (as well as a background vocalist and percussionist) on the album "LISTEN", which features Hall & Oates, Carly Simon, and Duncan Sheik. He is currently producing 3 full length albums for indie artists Ryan Gibeau, Pauline Pisano and NOWA. Lastly, and a personal highlight, he has had the honor of being featured alongside bassist John Patitucci for a track on "Sharecropper's Seed", an album for Word Records/Warner Music recording artist Nicole C. Mullen. Dan proudly endorses Paiste Cymbals and ACS Custom In-Ear Monitors. Dan currently produces & mixes out of Pencilworks Studios in Greenpoint, Brooklyn. The facilities include a grand piano, Fender Rhodes Suitcase Piano, a huge selection of drums & percussion including a full set of timpani, vibraphone, marimba and xylophone, as well as a number of guitar & bass amps. A large live room is flanked by two iso-booths, making the space ideal for tracking multiple acoustic instruments at once. He's currently producing 3 full length records at Pencilworks while also producing content for New York Film Academy, The Doo Wop Project and Michael R. Jackson (recent recipient of the 2017 Jonathan Larson Grant & and the 2017 Lincoln Center Emerging Artist Award). Mixing for Protextor & Brother Bear!